All of the E-mail sent to your GridWay Hosted E-mail account will pass through our anti-SPAM E-mail filters. The SPAM filter is the CanIt solution from Roaring Penguin Software. Valid E-Mails are delivered to your INBOX. 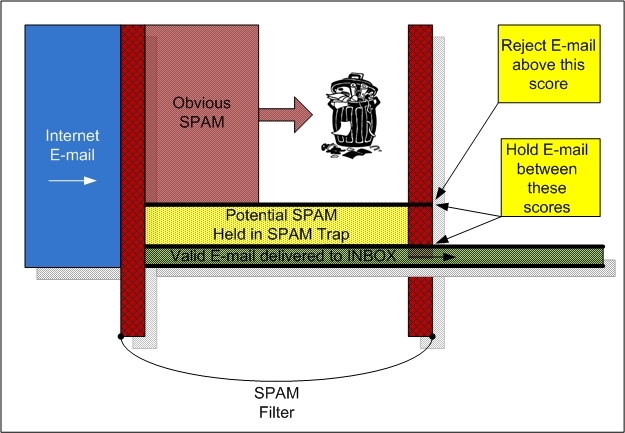 If you receive E-Mail that is classified as Obvious SPAM it will be recorded and rejected at the SPAM Filter. Category 2, Potential SPAM, is held on the CanIt SPAM filter in Quarantine requiring you to make the decision of whether the E-mail is SPAM or VALID.